I learned how to make cookies for kids when I was a kid myself. 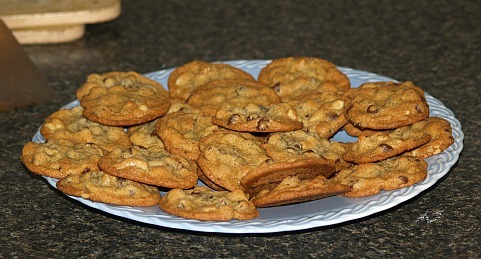 I would bake these for my children when they were little; I call these “everyday cookies”. These recipes are less rich than some of my recipes and the younger children seem to like them better. 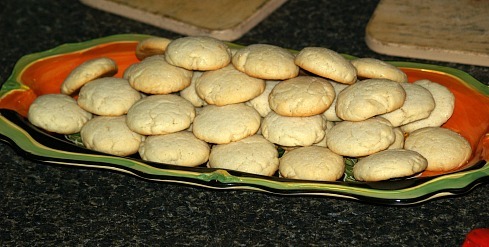 I learned how to make these cookies for kids which came from the BETTY CROCKER COOKIE COOKBOOK. As I have often mentioned, I did not have a lot of cooking equipment when I was young and started learning how to cook. We certainly had no cookbooks; most of my recipes were handed down or collected from flour and sugar bags. 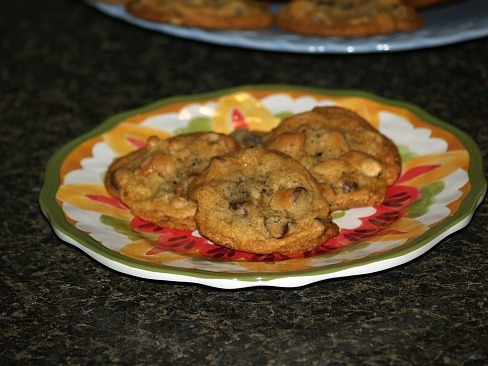 The Betty Crocker Cookie cookbook was a gift from Sister Gloria and was my first cookbook (I believe). I used it so much that eventually my sister replaced it with a new one. This book had some good recipes; simple and easy to make. My children and the kids in Bible School seemed to love the peanut butter, chocolate chips, oatmeal and drop sugar cookies. 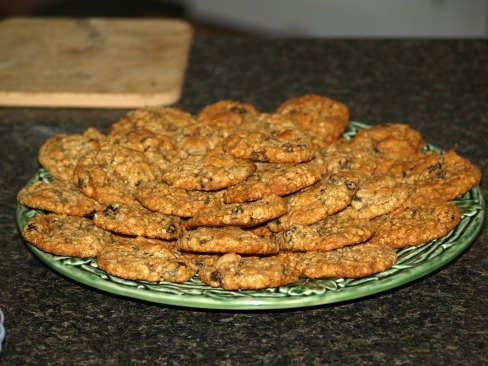 When I learned how to make these cookies for kids, they became my go to recipes when needed. 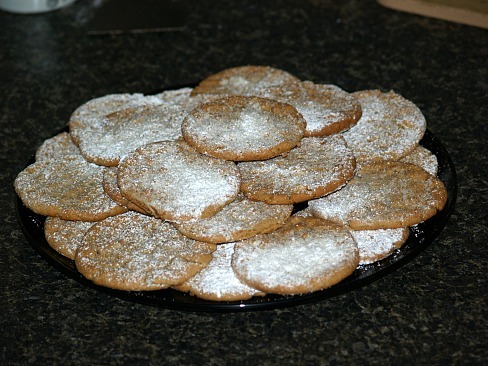 For me these were also easy to mix and drop on cookie sheets allowing me to bake enough to take to Bible School. NOTE: I mixed all the cookies for kids on this page the night before and baked the next morning. I like the results of the refrigeration overnight. Combine and mix the butter, peanut butter, sugars and egg. Blend together all the dry ingredients and mix into the butter mixture; chill dough. Roll dough into 1 ¼ inch balls; place on lightly greased cookie sheet about 3 inches apart. Mix butter, sugar, eggs and molasses thoroughly together. Measure flour; add soda, salt and cinnamon. Blend dry ingredients in the butter mixture; stir in the oats, nuts and raisins. 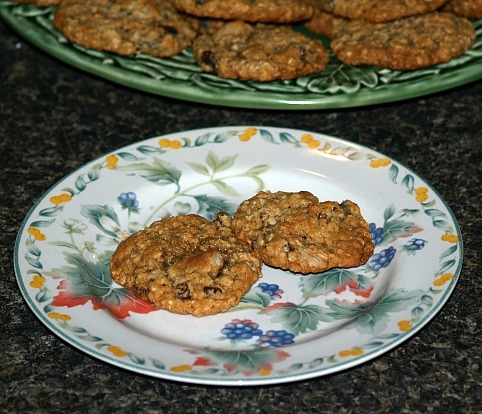 Drop by the teaspoon on a lightly greased cookie sheet. Bake 8 to 10 minutes or until lightly browned. Makes 2 dozen. The children at Bible School always offered the “unexpected”. They were so full of life keeping us adults on our “toes” the whole time. We laughed so much at what they did and what came out of their mouth. The funniest thing for me, however, did not come from any child. One day during Bible School, the pastor’s wife, Carol and I were preparing the cookies for kids along with plenty of Kool-Aid. We made the Kool-Aid in a large galvanized tub. Some of you older ones might also remember these tubs; as kids before Dad put in a bathroom, this was the type of tub we kids got a bath in. Any way Carol and I filled this tub with red Kool Aid. The cookies for kids were carried out to the church’s backyard by some of the ladies. Carol and I volunteered to carry this large tub of Kool-Aid. Boy was it heavy! We headed out the door, then around the church to the back. We had to go under the trees to get to the back yard where the picnic tables were set up. Many of you may not remember this (It was before your time) but back in the seventies, most women had one or more wigs. Women use to do their hair once a week; teased up dos with lots of hairspray. When the hair got to looking bad, just pop on a wig. This was a BIG FAD! Most women had wigs of several different colors. Back to my story at Bible School. So Carol and I headed to the back of the church carrying a large tub of Kool-Aid; Carol on one side holding the handle and me on the other side holding that handle. A couple of older women (Remember, I wasn’t so old back then) were in front of us headed in the same direction. SUDDENLY, out of the blue, a tree branch reached down and plucked the wig from one of the ladies head; it was hanging high up in the tree. I say plucked because there was no way that branch could have gotten that wig naturally. I about died watching this play out. I know if I had been carrying those cookies for kids, they would have been in the tree also. I laughed so hard while looking up at that wig hanging in the tree that I forgot to hold the Kool-Aid. When I finally looked over at Carol, she was laughing also. She had one knee propping up the tub and both hands trying to hold the one handle. We managed to set the tub on the ground and save the kid’s drink but I still could not stop laughing. I began to feel sorry for this terrified older woman but this was the most hysterical thing I have ever seen. The lady was so mad at us for laughing. We did apologize but I don’t think she ever forgave us. Beat egg whites with a fork; stir in oil, vanilla and lemon peel. Blend in sugar and mix until mixture thickens. Measure flour and sift together with baking powder and salt and blend well. 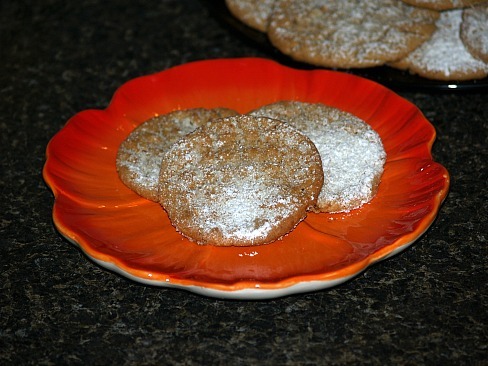 Drop by a teaspoon on ungreased cookie sheets; flatten with oiled bottom of a glass dipped in sugar. Bake 8 TO 10 minutes or until lightly browned; remove from pan immediately and cool. Combine and mix thoroughly the sugars, butter, egg and vanilla. Combine and blend flour, soda and salt; blend in to the butter mixture. Add nuts and chocolate chips to the mixture and blend well. 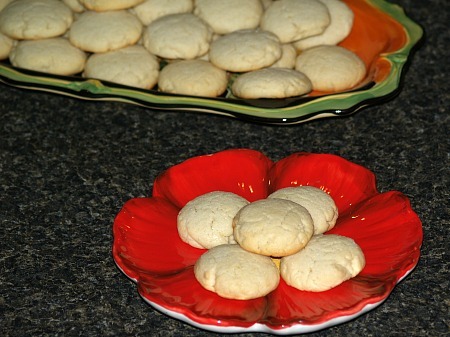 Drop by a teaspoon onto an ungreased baking sheet; bake 8 to 10 minutes or until lightly browned. Cool slightly before removing from pan; makes 4 to 5 dozens.